Every Fall I go apple picking. And each time I come back with my bags of apples and Mile-High Apple Pie in tow, everyone asks, “WAIT!—You can go apple picking in LA?” YES. Yes you can. Meet Oak Glen, CA. 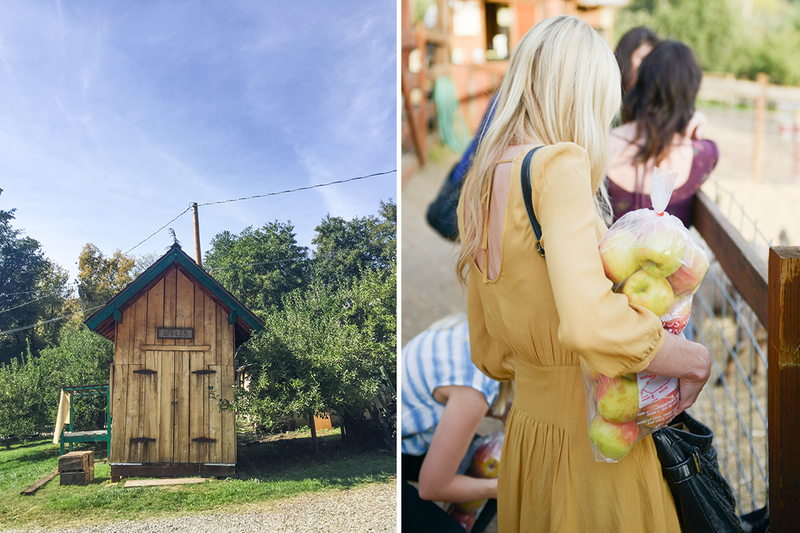 Nestled up in the mountains about an hour & a half east of Los Angeles, the folks in Oak Glen have been growing apples since 1867. If you imagine Autumn-in-Vermont Pioneer Village meets 1950’s Frozen-in-Time Americana, you’ve got Oak Glen. It’s a magic combo that makes you feel like you’ve just stepped inside a Charles Wysocki puzzle. Located a mile up the mountain, this 5-mile loop of sweet old-fashioned apple orchards actually experiences all four seasons beyond just “warm and warmer”. 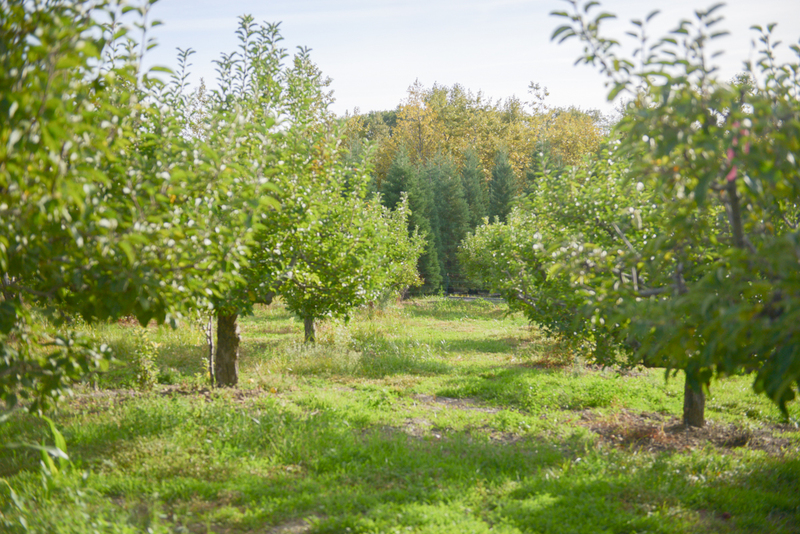 Official apple picking season runs September to November, when the trees explode with ripe juicy apples of every flavor and the surrounding landscape bursts into an impressive show of bright yellows, reds and oranges. 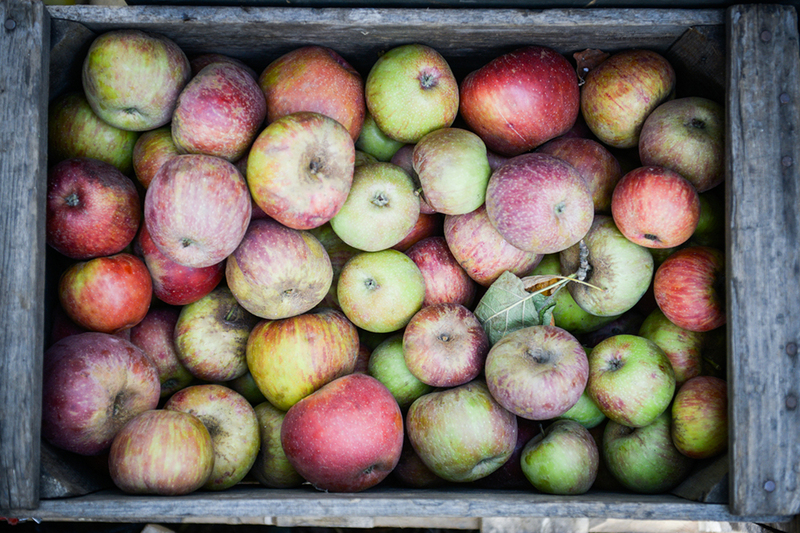 The best time for apple picking is the start of the season. But if you wait until later, there is still tons of farm fun to be had with less effort on your part. HINT: The bagged apples for sale are just as delicious as the ones you pick yourself and come from the same place. So it’s not too late to throw on your sweater, put a jacket in the car for later and wind your way up to Apple Heaven! 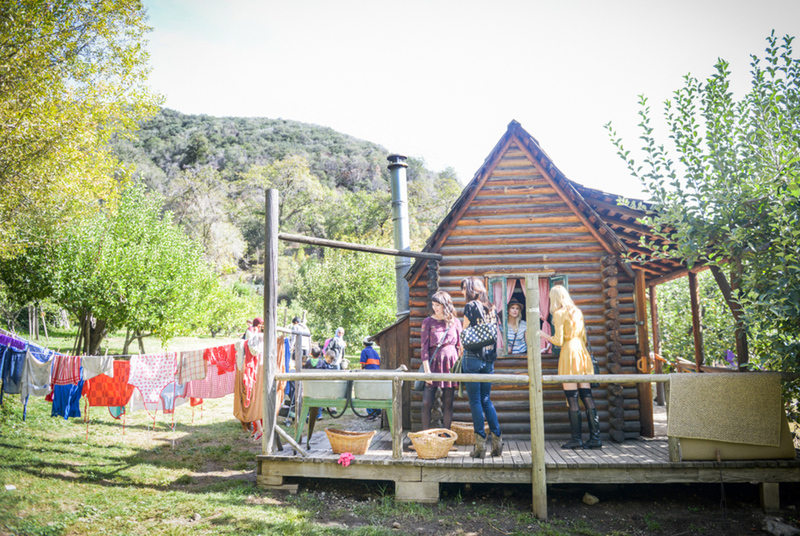 My favorite place to start any visit to Oak Glen is Riley’s Apple Farm, which feels like a real working frontier ranch. 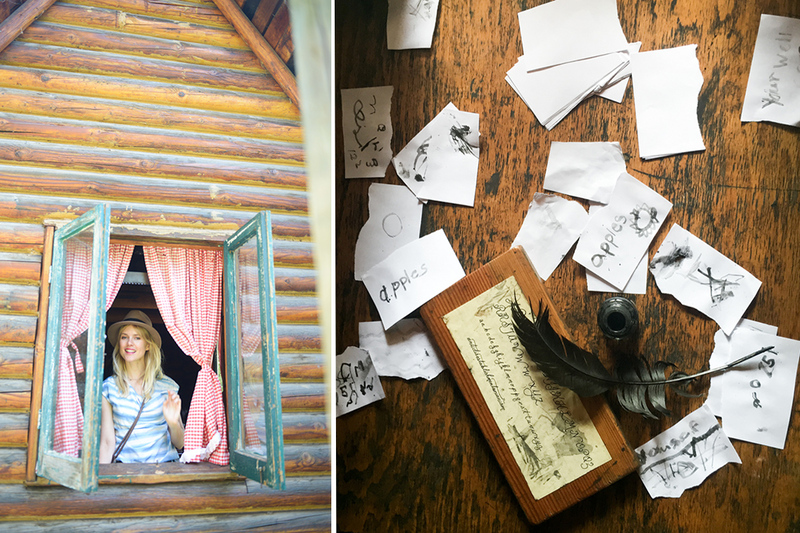 You can make all of your pioneer fantasies come true here—apple picking, cider pressing, hanging out in a log cabin, practicing your quill-and-ink writing and even perfecting your tomahawk-throwing skills. Just down the road is Riley’s at Los Rios Rancho. “Why is every ranch called ‘Riley’s’”, you ask? The short answer is: The Rileys started this little apple enclave a hundred-plus years ago and kept building. So the whole town is a long-standing family affair. 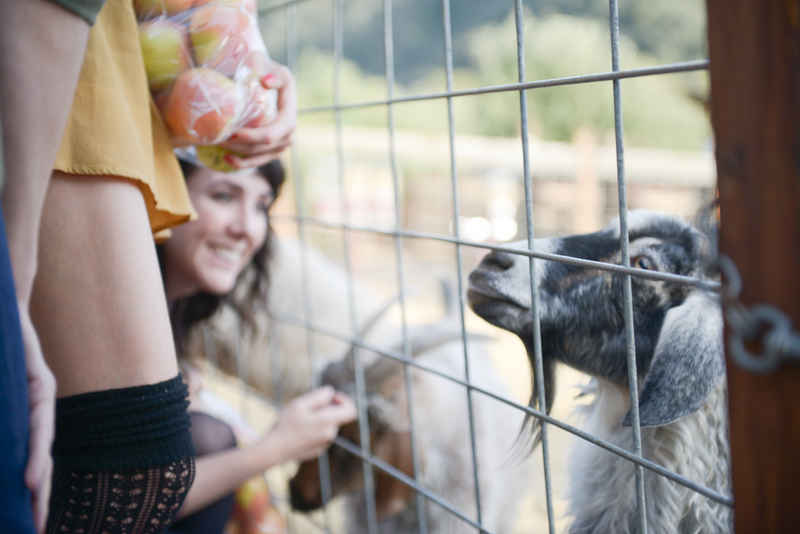 One of the largest farms in Oak Glen, Los Rios Rancho offers apple picking and pressing, a pumpkin patch, horse-drawn wagon rides and a large lawn area for enjoying a picnic with your gang of adventurers. Los Rios is also the best spot in town to stop for a meal. Remember when I said Oak Glen was frozen in the 1950’s? That includes dining options—so vegetarians and vegans should plan ahead and bring their own snacks. 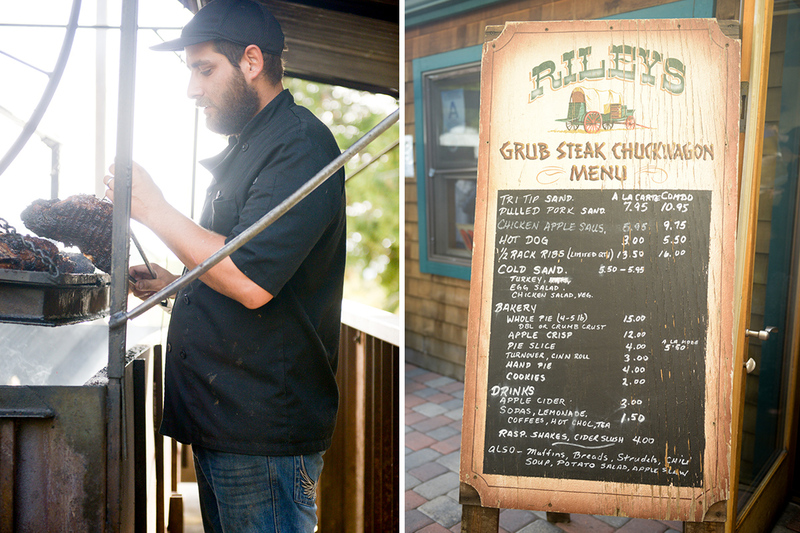 For those without dietary restrictions, Applewood BBQ Slow Roasted Meats at Los Rios Rancho is the place to be. 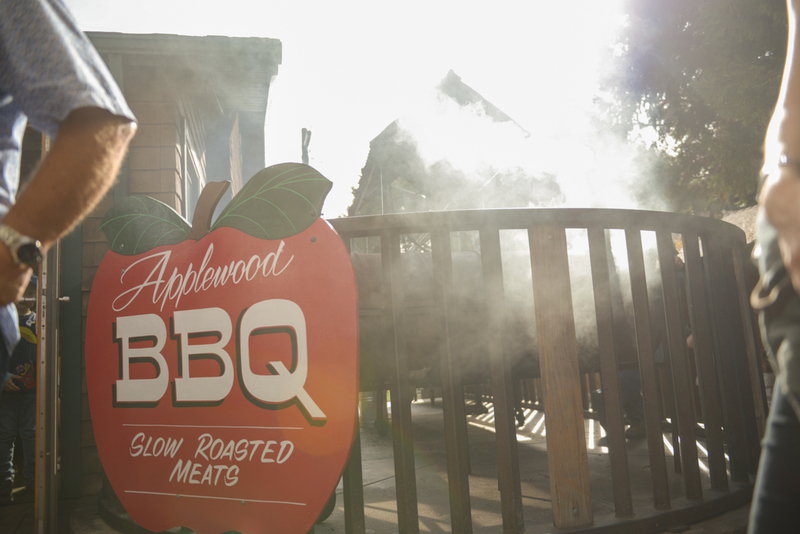 Stand in line and watch the meat masters smoke their choice cuts to perfection in front of your eyes. My favorite dish is the tri-tip, which traditionally comes as a sandwich but you can ask them to make it an entrée plate on its own with a few country-style sides. 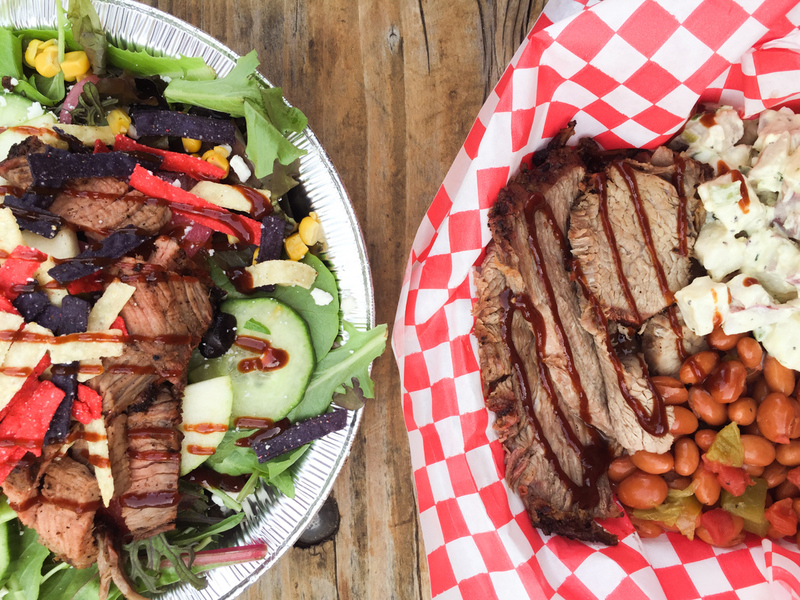 Our gluten-free resident foodie Siren Sarah ordered the tri-tip salad and was thoroughly satisfied. The tri-tip is delicious, juicy and seasoned just right. Sitting outside with the huge mountain vistas behind you, live country music playing in the background, the smell of bbq and a crisp Autumn chill in the air, you will swear you are no longer in California. And you didn’t even have to hop on a plane to get here. Stop in at the orchard’s country market to pick up provisions and mementos for home. I never leave Oak Glen without a bag of Pink Lady apples from Los Rios. Great for both eating and baking, they are crisp, sweet and tart all at the same time. Basically the perfect apple. They’re popular, so if the store barrel is empty, ask a staff member to grab you a bag from the back. Your mouth will thank you later. After lunch, go down to the park behind Los Rios Rancho for a golden-hour stroll through paths of falling leaves and soft sunrays speckling through the trees. It’s no wonder that couples dot every few steps along the way taking their engagement photos. Something about this place feels classic and eternal all at once. On your way back out, be sure to visit the ranch’s farm animals. We’re not big fans of “petting zoos”, but the animals here at Los Rios are happy, sweet and clearly very well cared for. So go get some unabashed nuzzles from a goat or two. For your next stop, head back down the mountain towards Oak Tree Village—the “city center” filled with tiny antique shops, novelty stores and stalls where you can sample apple beer. Oak Glen institution Apple Annie’s Restaurant & Bakery offers the pièce de résistance: The Mile-High Apple Pie. Also known as the best apple pie you will ever have in your life. That’s a big claim, but it also happens to be true. 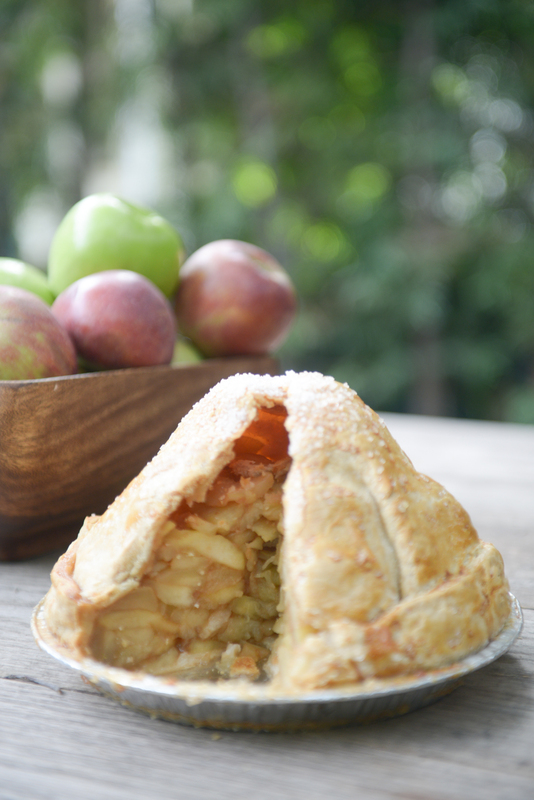 Each pie is filled with 5 lbs of apples, stacked all the way to the top of the 6-inch-high crust. The filling is the perfect sweet-tart mix with hardly any noticeable added sugar. The apples are truly the main event showcased in each bite. Do not leave Oak Glen without a Mile High Apple Pie to take with you. It will win you major favor back at home. I start getting phone calls from friends and family when they know I’ve been to Oak Glen, leaving deep breathy voicemails: “Did you get…the pie?” But with a pie this big, there is way more than enough to go around. HOT TIP: Warm it up and top it with some Alden’s organic vanilla bean ice cream for a flavor combo to stop the world. As the sun begins to set into a Crayola pink-orange sky, put on some John Denver and wind your way back down the hill, soaking in the last of this quaint mountain town and its surrounding beauty. But rest assured knowing that the best is yet to come. You have a pie to eat at home. And not just any pie—the pie of your life. Enjoy every bite. 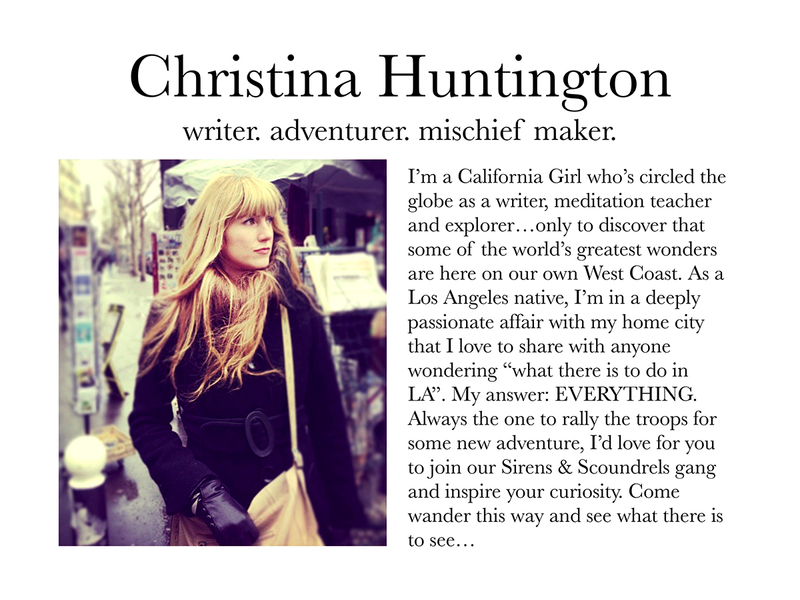 Be sure to subscribe to Sirens & Scoundrels for more Fun Local Adventures delivered straight to you! Enter your email address on our home page & hit “SUBSCRIBE”! All I can say is…I’m going to go get myself some pie. 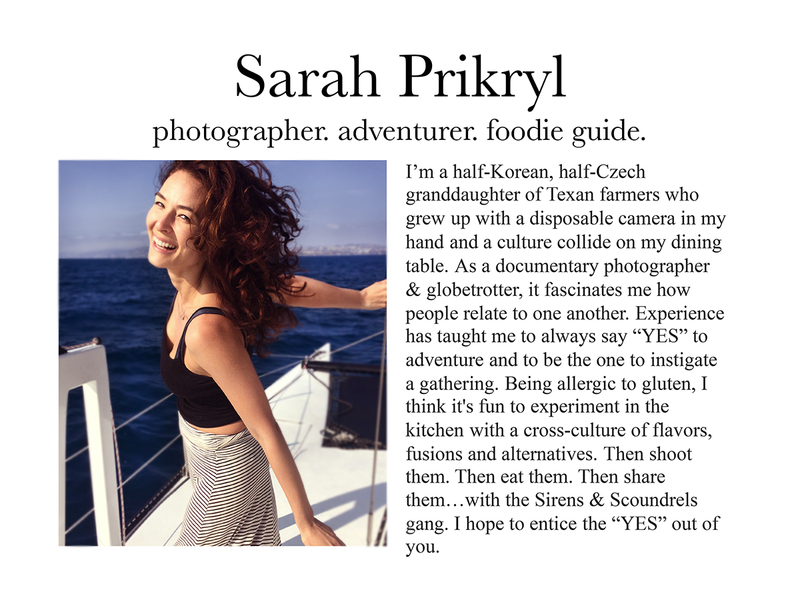 What a fantastic new site, and I for one, will be following, and sharing. Gorgeous photos. Beautiful prose. And all with an energy and spirit that is as genuine as it is inspiring. Can hardly wait to read more! Thanks so much! So glad you’re enjoying the site! The Mile High Apple Pie will change your life if you make the trek!